1. Find a piece of trim that has a profile you like. 2. Cut off a small chunk about 1/2 inch deep. 3. 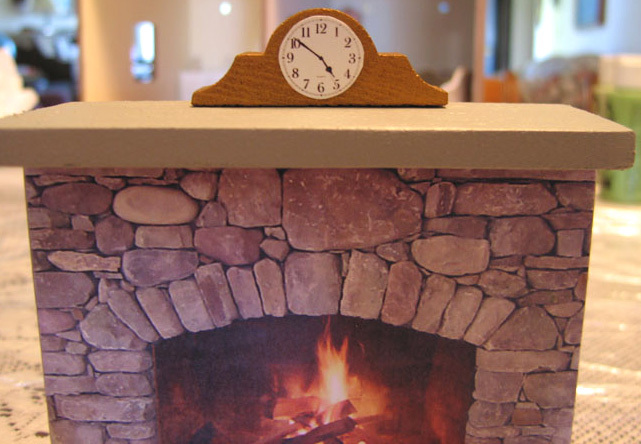 Do an image search to find the type of clock face you want and print it. I took this picture myself, so you are free to use it (personal use only, no resale). 4. Paint or stain your clock and let dry. 5. 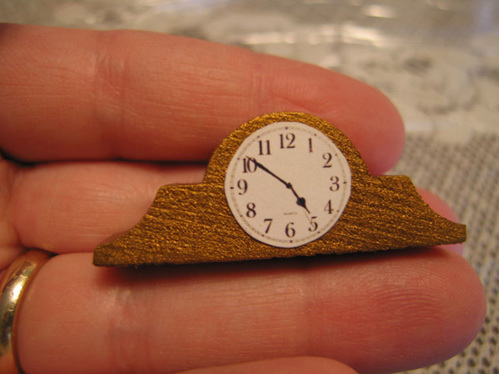 Glue on the clock face. 6. You can stop here, or for a more playable dollhouse mantel clock, spray it with clear acrylic sealer. 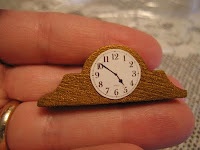 For instructions on how to make a grandfather clock for your dollhouse, please see our earlier post.